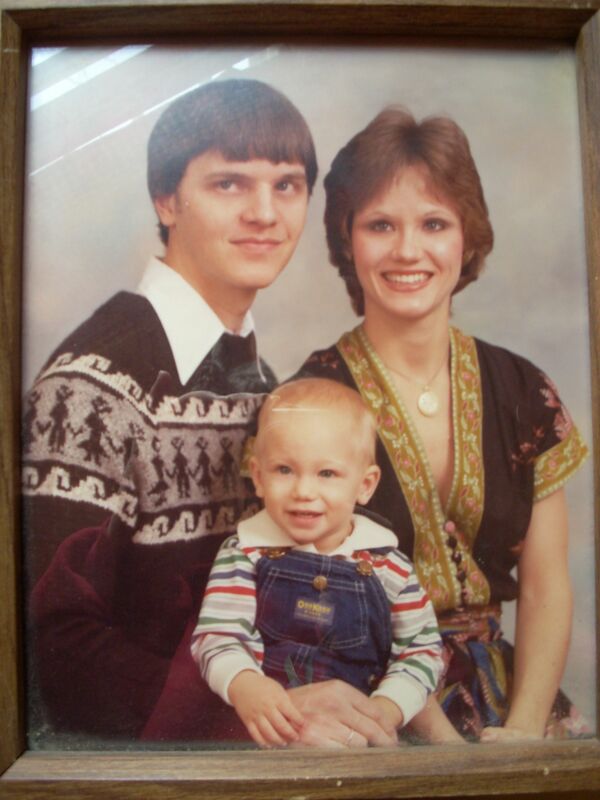 Herb wearing the sweater in 1982. When we lived in Lexington, KY in the 80’s, there was a really nice imported sweater shop called World’s Apart. 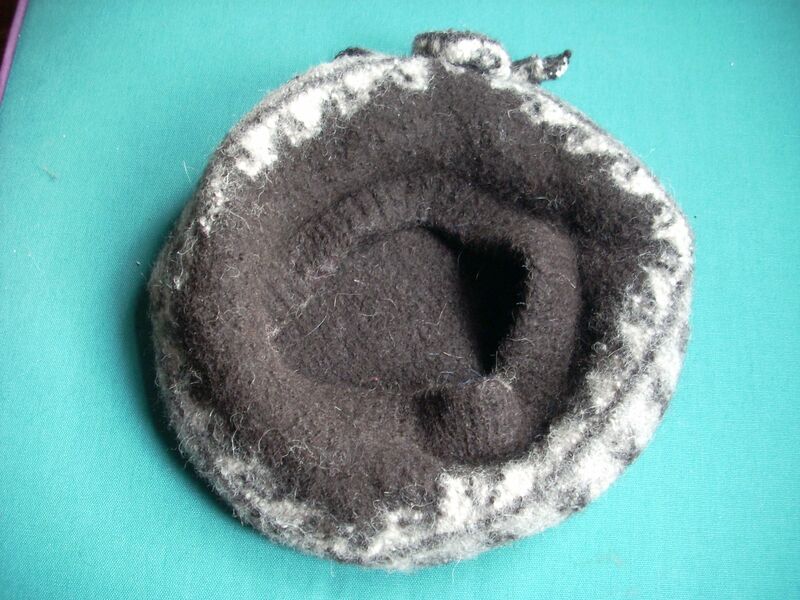 The items they sold were made in Peru and were alpaca wool. I bought Herb a wonderful sweater from there for our second Christmas and somehow through the years, I took it over and it became my favorite sweater. 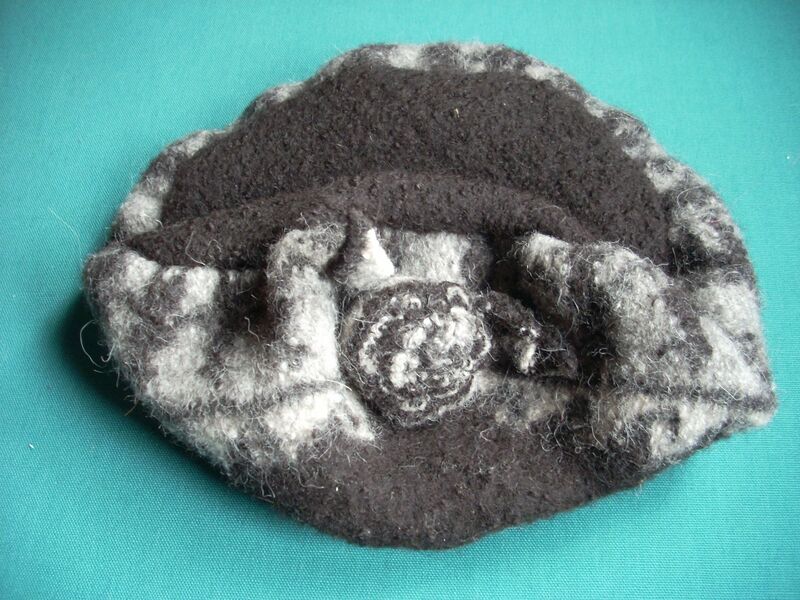 Then, it accidentally got put through the wash a couple of years ago and I have kept it thinking I could make something else out of it. It shrank to the size of a sweater for a small child. 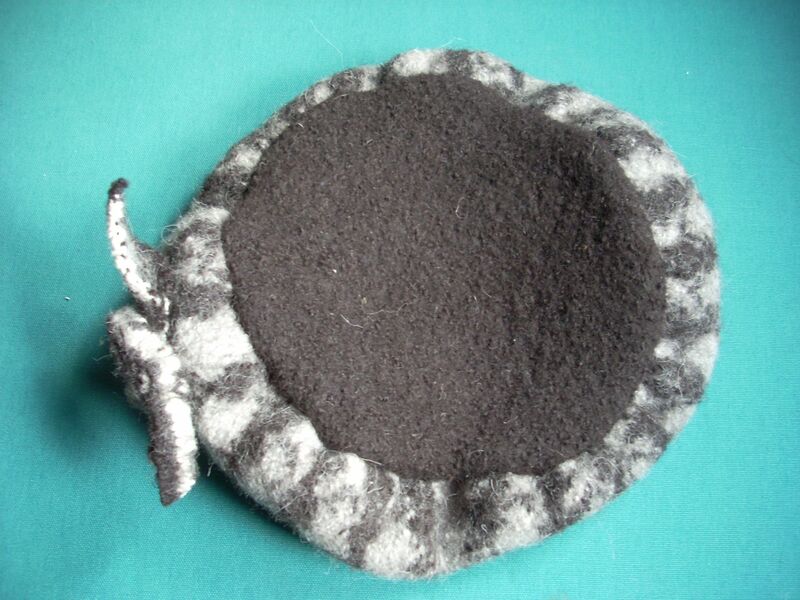 This is how felt is made and I love felted items. 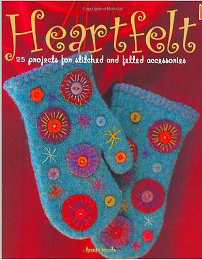 I have a book that is called Heartfelt, 25 projects for stitched and felted accessories, which has a pattern for a Russian Hat that I have been thinking would be the perfect new life for the old sweater. 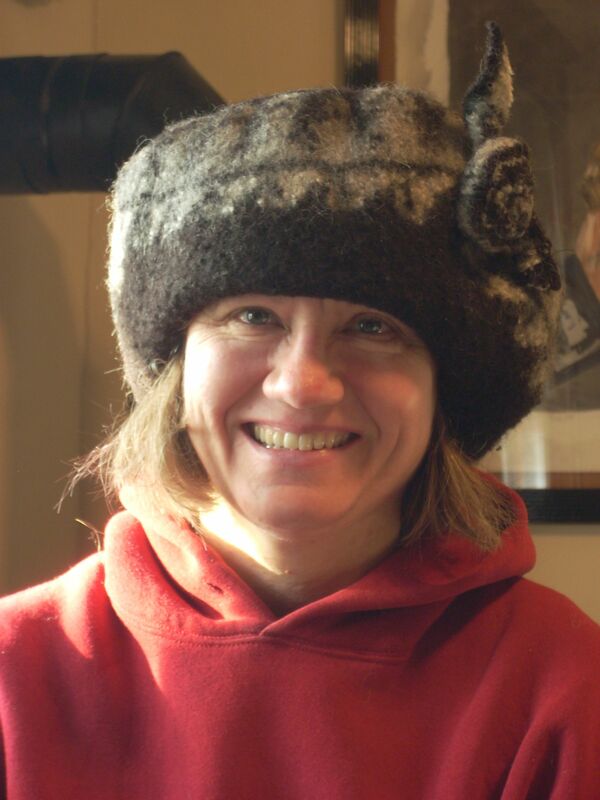 So, yesterday, as we were driving to DC for a school fieldtrip, I took the sweater and book along with the intent of making the hat to wear in the really cold DC weather. The trip is about an hour to our metro stop and so I started cutting into the old sweater as soon as we got into the car. The pattern has three pieces, a round top, a side panel and a cuff around the bottom. After looking at the pattern and the sweater, I ditched the side and cuff pieces and decided to just use the neck of the sweater as both and put the round top into the neck. 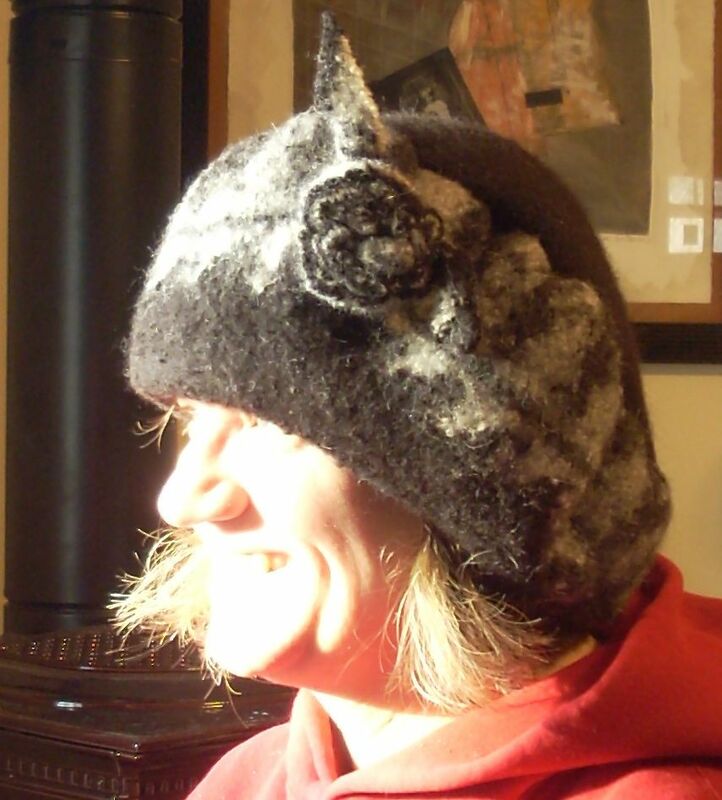 You can see the results here and how the finished hat looked. I thought it needed an accent so I hurriedly added a simple rose shape out of one of the border pieces of scrap. As we parked the car, I put the hat on and had a warm head all day AND a stylish hat for the rest of the winter days to come. The kids made fun of my hat most of the day, but you know, I don’t really care what an 8 year old thinks, my head and ears stayed nice and toasty. 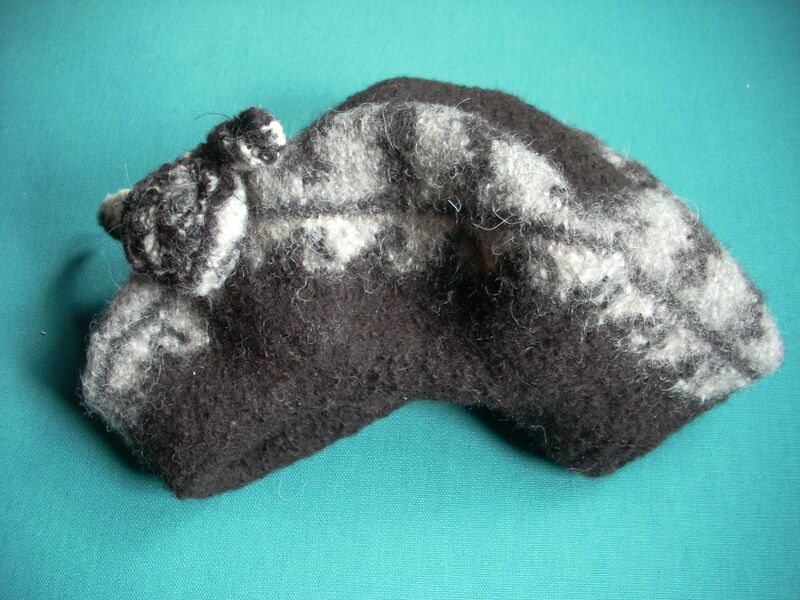 With what is leftover, I have enough to make a couple of pair of mittens to match my new hat. I think I have to make those next. 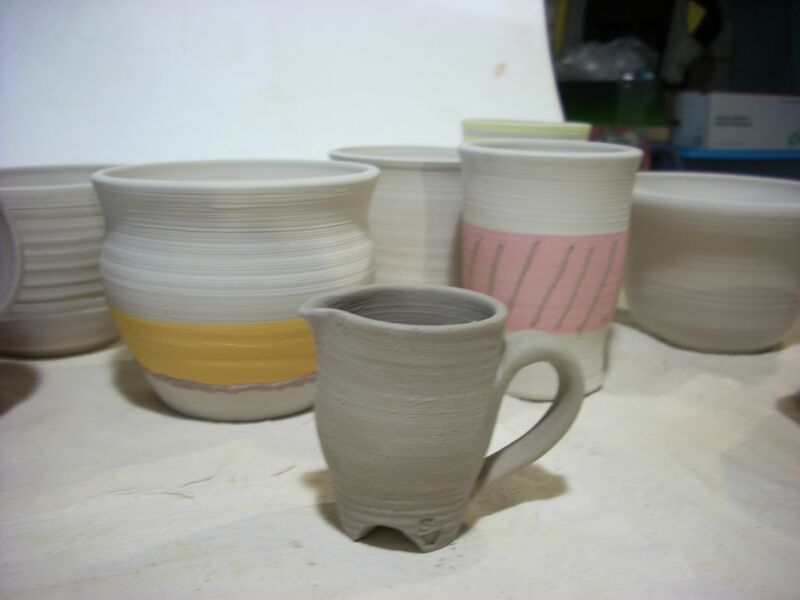 When the first batch of glazed pieces came out of the kiln last week, I have to say I was both happy and sad. 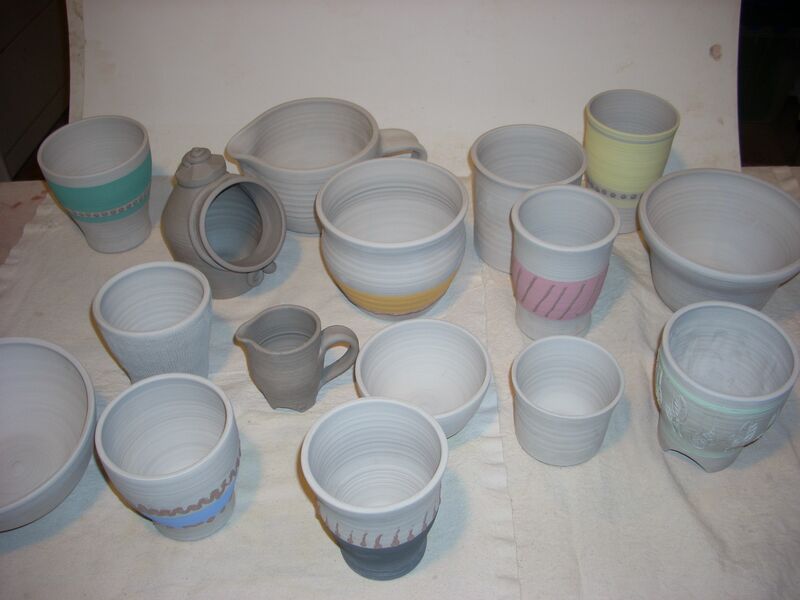 Some of the pieces were really nice, but sadly, it is clear that I need to do lots of testing and experimenting and learning what my glazes are made of. 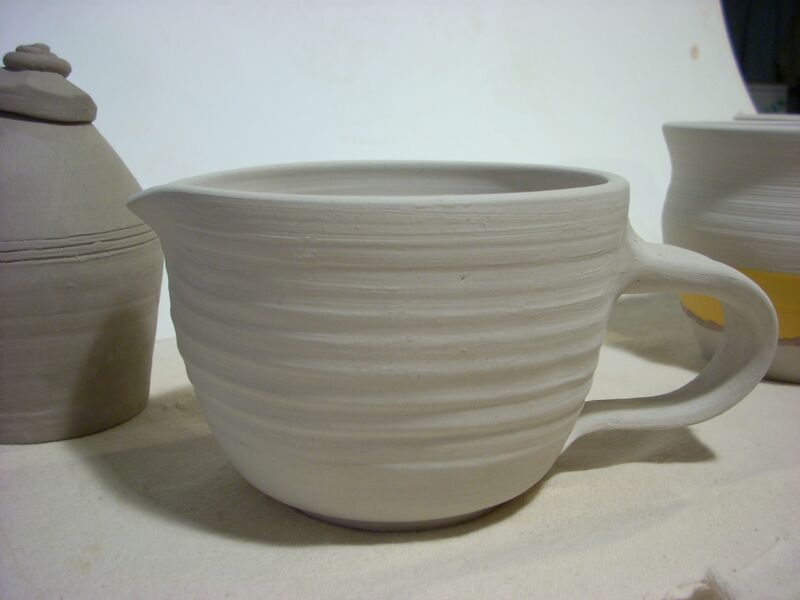 Being concerned for the planet, I find that I worry that I am using too much water and that I only want to use the energy to fire things that I really love and feel will be a nice finished piece. 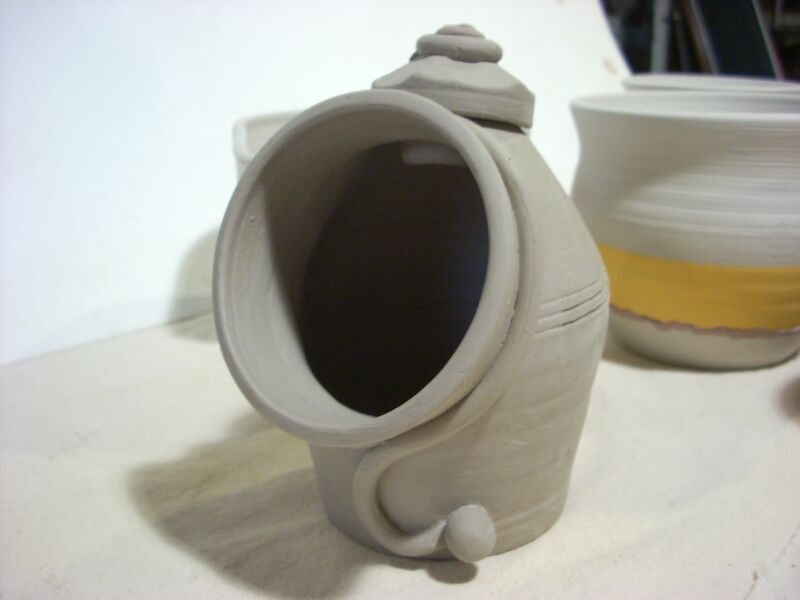 So while I am throwing a pot, if it doesn’t look like something that I would want to keep forever, it goes back into the clay bin to dry out and be recycled into new clay. I have taken the time to create all new test tiles and spent an entire week reconstituting my commercial glazes. I did a firing of those tiles and now have them hanging on a board in a somewhat color palette that I can look at and choose the glaze. 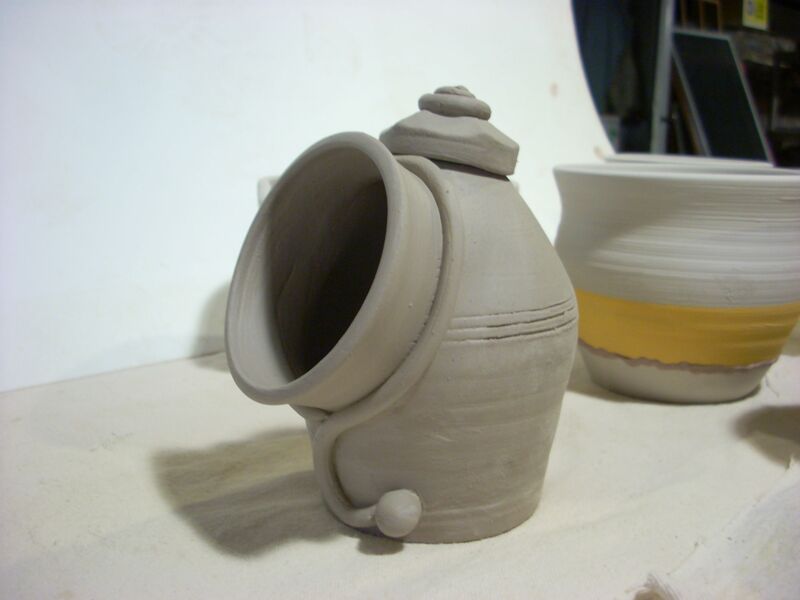 I did a set for the white stoneware that I am using as well as the brown stoneware. One tile for each color clay with 3 different coats of the glaze, from light to heavy, to give me a palette. In doing this testing, I used a quart sized yogurt cup of water to clean out my brushes and utensils and emptied that mix into a larger bucket in the sink. Over the course of the week, the bucket is full of a mix of all my glazes which, from my research, can become a new glaze. (or not) My point is that I tried very hard not to let the chemicals go down the drain to end up in the water system. 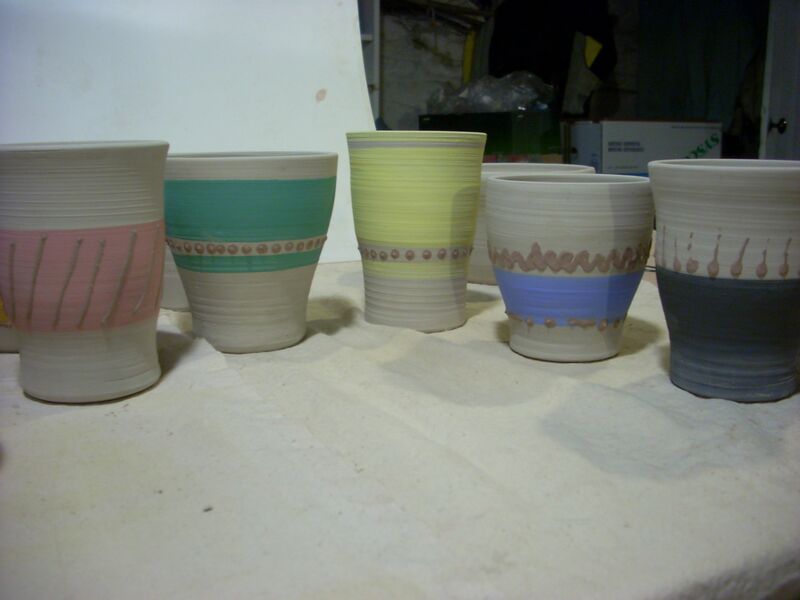 After doing the tests, I then did the glaze firing on some real items. With each piece that I took out of the kiln, I had many thoughts going through my head about what I should’ve done different or what worked really well. Keeping a journal of each of the glazes as a reference so I can alert myself to the next time I use a particular glaze. 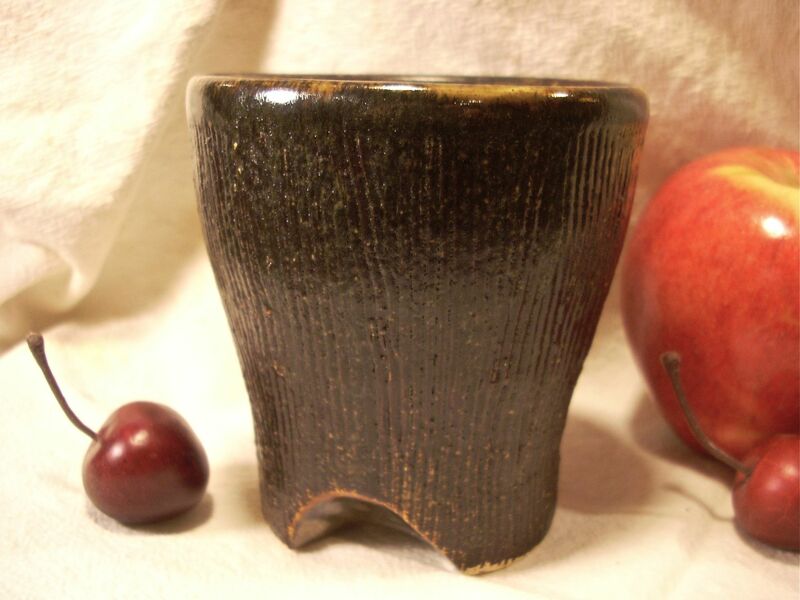 I also bought a great book called Mastering Cone 6 Glazes by John Hesselberth and Ron Roy. It is written in layman’s terms and is helping me understand the science of what is going on with the glazes, giving me insight into food safe glazes and the leaching of the chemicals with certain foods following the FDA‘s standards for food, as well as, the Clean Water Act standards. It includes recipes that are stable and have gone through their rigorous tests. This may be where I turn in the future so that I know what the chemistry of the glazes are that I am putting onto the pottery I create. Much like cooking from scratch so that you know exactly what the ingredients are that you are putting into your body. Glazing and firing my first wheel thrown pottery. I’m pleased with the shapes and sizes of things at this stage in my getting back into the mud, although the clay is shrinking quite a bit so I am going to have to throw things much larger.This may mean another test to see what the percentage is. 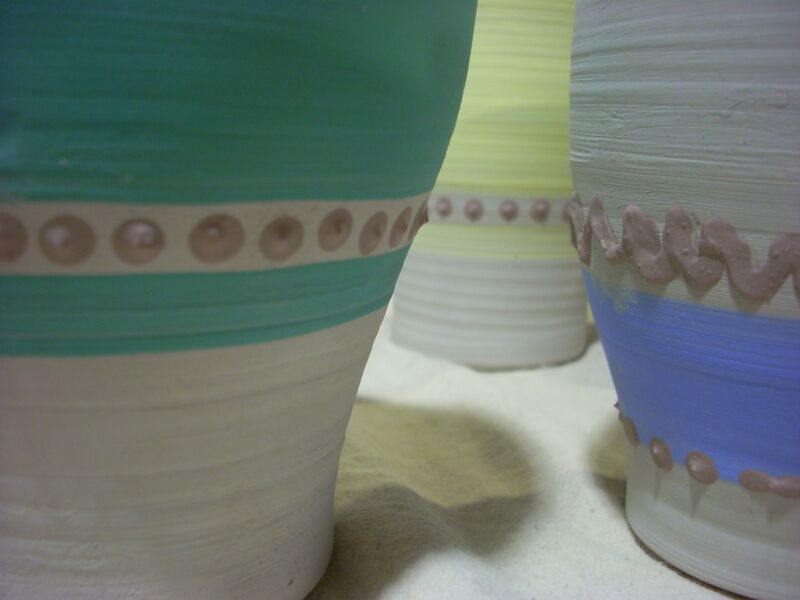 Off the shelf glazes are a challenge. 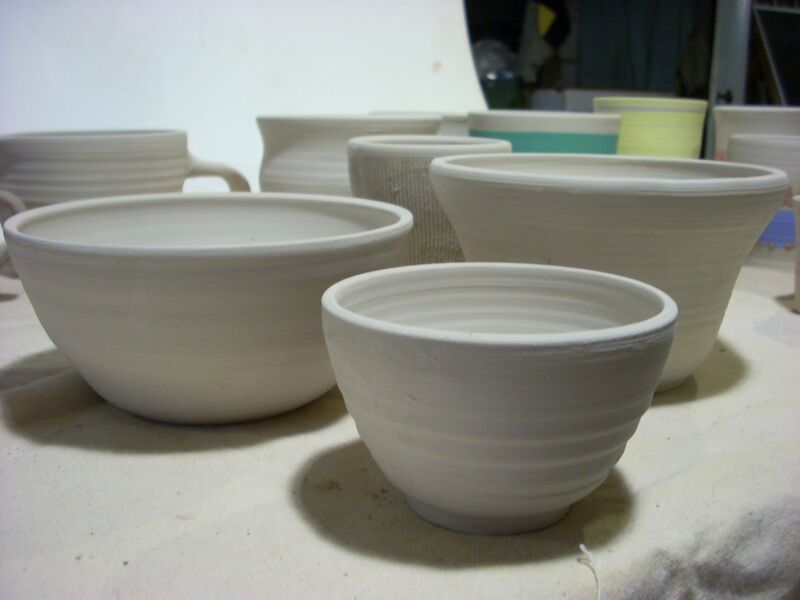 When I run out of white stoneware, I will be somewhat in the same stage where I am with the brown clay. 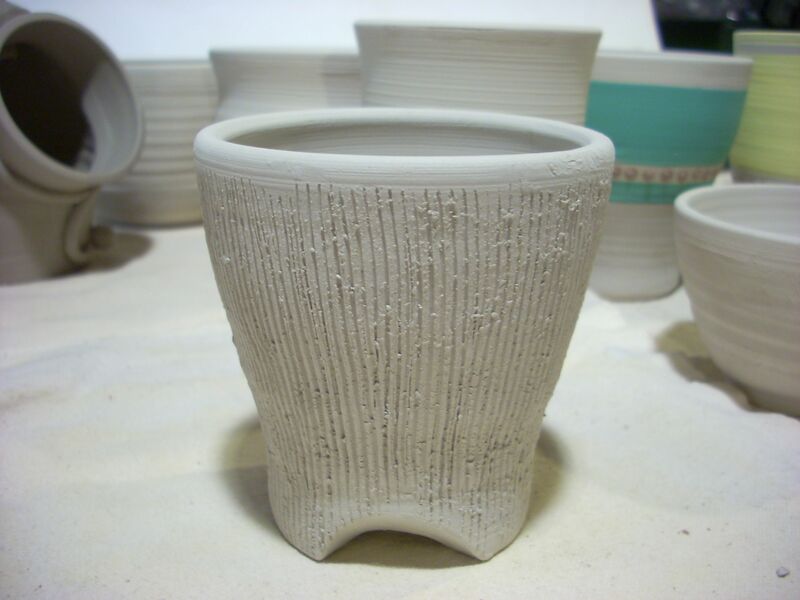 The white stoneware has a lighter feel to it though visually but the glazes look very different between the two clays. Glazing can ruin a piece, for sure. 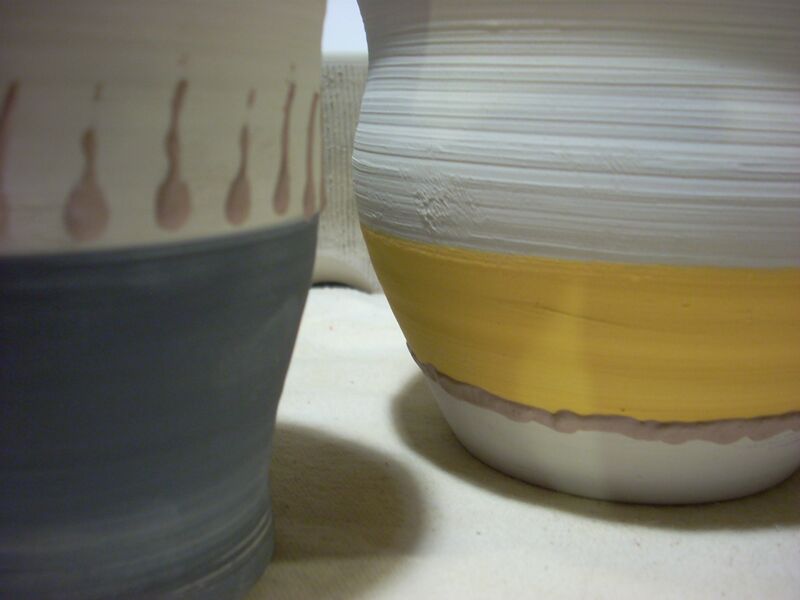 The Temmoku and the Golden Lustre glazes are very consistent and stable and are going to get to stay. As is the Turbulent Indigo. I’m getting some crazing issues and fingerprints so I’m not sure I want to have all my work with stains under a clear glaze. Developing a style is going to take some time.